Japanese public broadcaster NHK has been at the forefront of advances in video technology with its ambitious plan to deliver content in 8K, or “Super Hi-Vision” (SHV). Previously NHK had planned to begin testing 8K broadcasts in 2020, but once the International Olympic Committee (IOC) chose Tokyo to host the 2020 Olympic and Paralympic Games, that year shifted from a trial date to an actualization date. In partnership with the Olympic Broadcasting Service (OBS) and the BBC, NHK presented 8K public viewings during the 2012 London Olympic Games in Japan, the United Kingdom, and the United States. NHK Chief of Engineering Yasuto Hamada told Via Satellite that the success of the London Olympic public viewings created another big push toward realizing the 8K broadcasting system. This year the broadcaster went even further, partnering with FIFA to produce 8K versions of nine World Cup matches that were viewed publically at three sites in Brazil and four in Japan. “The time difference of about twelve hours between Japan and Brazil meant that some of the matches were played very late at night or early in the morning Japan time. Even so, all nine matches were shown live in the public viewings. The interest was so high for Japan’s opening match against Cote D’Ivoire that there were 52 applications for every seat and large numbers appreciated the superb qualities of 8K at these events,” Hamada said. 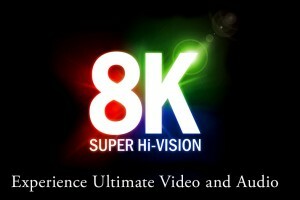 NHK’s research into 8K broadcasting began in 1995. Describing it as the “ultimate 2D TV system,” Hamada said 8K was selected “on the grounds that, given human visual capabilities, any higher resolution than this would be not effective to a human viewer.” Since global sporting events have historically spurred on new broadcasting technology, the 2020 Tokyo Olympics became a logical target to reach for the pinnacle of video broadcasts. Hamada said NHK’s progress with 8K has not come at the expense of 4K. Rather, the company envisions a future where content is broadcast in 2K, 4K and 8K as viewers desire. Hamada also noted that 4K TV prices are dropping sharply and that 4K technology has advanced at a faster rate than anticipated, but added that more efficient program production equipment and transmission systems are still needed before broadcasts can begin. However, the progress bodes well for 8K. For the 2014 World Cup, NHK used three 8K cameras and up-conversion from two super slow-motion 4K cameras to capture content. In preparation for 2016, the broadcaster is developing compact mobile shooting and recording systems as well as editing systems. NHK plans to have the environment for test broadcasting ready in time for the 2016 Rio de Janeiro Olympic Games. 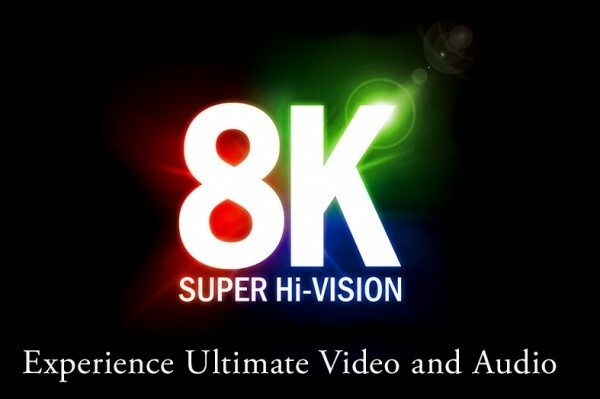 NHK is also building up a library of 8K content. The broadcaster is stockpiling material across a multitude of genres so that viewers will have their choice of video. “We are aiming to accumulate a stock of attractive content which takes full advantage of the extreme realism and ultra-high definition of 8K, in fields ranging from sporting and other major events to music, theater and other entertainments, art and nature,” said Hamada. NHK currently reaches approximately 50 million homes through two terrestrial TV channels and two satellite TV channels. According to the IOC, the 2012 London Olympics had a global reach of 3.6 billion people. For NHK, the Tokyo Olympics is set to bring in a very large audience. Hamada is excited about the opportunity this presents for the world to see the fruit of their work.